Home / Instructional Materials / Toys & Games / Learning Resources: New Sprouts Mix it! Learning Resources: New Sprouts Mix it! Mix up learning and play with this imaginative role-play set. 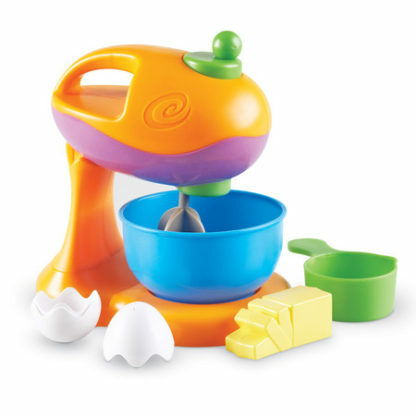 Perfectly sized for the littlest of hands, the Mix it! set is made from crush-resistant plastic that will last for years. The bright and engaging pieces include all the ingredients to create endless recipes for fun. It even comes with a beater that really spins! Your tiny bakers will love it! Mix up learning and play with this imaginative role-play set. Perfectly sized for the littlest of hands, the Mix it! 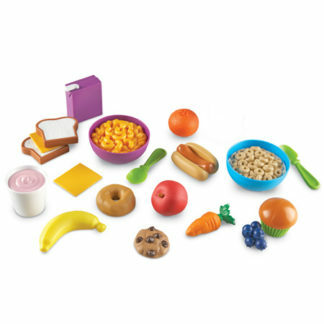 set is made from crush-resistant plastic that will last for years. 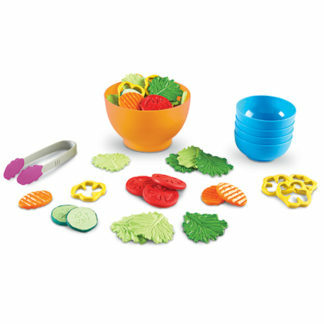 The bright and engaging pieces include all the ingredients to create endless recipes for fun. It even comes with a beater that really spins! Your tiny bakers will love it! Mixer measures 7″H. Learning Resources: New Sprouts Munch It!